Watching this Interview will make your Eyes Bleed. Bill O’Reilly Handles the most vile person on TV with kid gloves. Turn it up & full screen. 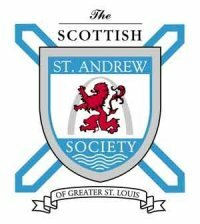 John Haack and Ian Sutherland stop by Shock city studio to promote the St.Louis Scottish Games. Rep.Conyers Asks Comedian Stephen Colbert to Leave. Stephen Colbert embarrassed himself with his “Radical Republican Skit” in front of Congress today. In a bid to inform voters of their Constitutional Rights, and push to get out the vote on November 2, 2010, the Saint Louis Tea Party Coalition is set to host the St. Louis Tea Party Homecoming this Saturday, September 25, 2010. To kick-off the Homecoming, STLTPC will be unveiling their newest Initiative; Tea Party Treaty. The Tea Party Treaty is a document formed as a contract between the citizens and their Representatives, restoring accountability. The event will begin at 2 pm with food, refreshments, games, and information. Homecoming is open to the public, and is a family-friendly event. It will be held at the STLTPC Victory Center Headquarters, 4512 Hampton Avenue, St. Louis. With the continued and growing interest in the Tea Party Movement, key figures of the St. Louis Tea Party Coalition will be on hand to welcome and further educate citizens in attendance. For additional details, contact Jen Ennenbach, Media Liaison, Saint Louis Tea Party Coalition, jen.ennenbach@stlouisteaparty.com or 314-600-5860.